The new ROTOR INpower can either be calibrated with the INpower software or directly with the device. Nevertheless direct calibration via the Garmin Edge 800 device requires a specific process. The power meter must be paired with the device based on standard procedure: by entering the serial number in the ANT+™ power detail page in the bike setup menu. Before calibration it is necessary to initiate a session in the start menu. 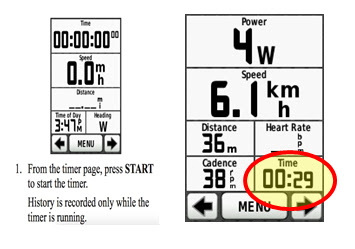 Power and cadence will appear and the timer needs to be running. Now the power meter can be calibrated by going into the calibration menu of the Garmin Edge 800. 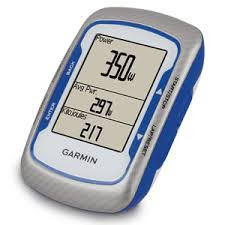 In case you are stopping a ride on your Garmin Edge 1000, for example for a coffee break and your device fails to read data once you start again, please restart your Garmin Edge 1000 device. Note that your ride data will not be deleted.